Disgraced former prison boss and former ANC branch chairperson Russel Ngubo is on Wednesday expected to hand himself over to Correctional Services officials after a week of “hide and seek”. Police and officials from Correctional Services have been looking for Ngubo for more than a week to answer on allegations that he has broken his stringent parole conditions. On Tuesday the Pietermaritzburg high court granted an order agreed on by Ngubo’s lawyer and the department, that Ngubo would hand himself over on Wednesday. Ngubo had been released on parole last year after serving 12 years of his 25-year prison term. In 2005 he was convicted of the murder of two IFP members in Impendle in the late 1990s. Ngubo is no stranger to controversy. 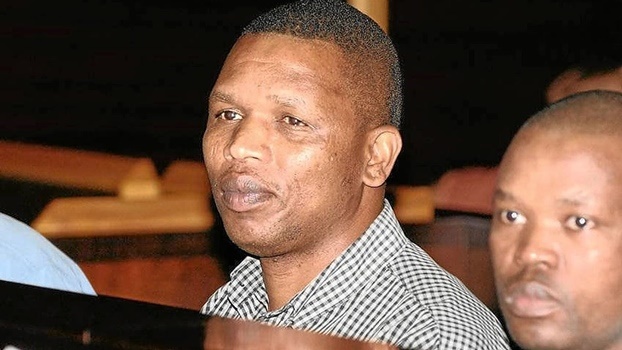 The former deputy director at the Pietermaritzburg prison’s 12-year stay in prison was dogged by claims that he was given preferential treatment by his former colleagues. Months before his release on parole, Ngubo was accused of attacking a female warder at the Sevontein Correctional Facility. In 2013, Ngubo was transferred to the medium-security Sevontein Prison from Westville Prison amid allegations that he had been terrorising the warders. One of Ngubo’s parole conditions was that he did not leave Pietermaritzburg without informing officials from the department. However, a source alleged that Ngubo had flown to ANC headquarters, Luthuli House, to plead for a presidential pardon. The source also said Ngubo was accused of disrupting some recent ANC branch general meetings in Impendle, which were called to nominate candidates for the regional and provincial conference. Provincial prisons commissioner Mnikelwa Nxele had some strong words for Ngubo yesterday after the court appearance. “We are not going to allow Ngubo to undermine the system,” he said. Nxele said the department’s officials had struggled for days to locate Ngubo, failing to find him at his home even during the middle of the night. “I can put it on record that we solicited the assistance of police to track him down but we could not locate him. We could not find him at his residence in Impendle and we could not find him at his house in Pelham. “We tried to call him but we could not get hold of him. “When he phoned us through his lawyer, we told his lawyer to hand him over but that did not happen,” said Nxele. He said although they knew that Ngubo had flown out of the province, the department did not know for sure if he had gone to Luthuli House. Yesterday, Ngubo’s lawyer, Lucky Nhlabathi, declined to comment, saying the matter was at a sensitive stage. On Thursday, Ngubo had approached the Pietermaritzburg high court to try to stop Correctional Services officials and police from “harassing” him. This after he said his home had been raided on Tuesday, March 27. In the urgent court application, Ngubo said he had been abiding by the conditions of his parole and he did not know why officials from Correctional Services wanted to re-arrest him. “I have clear rights not to be detained without just cause,” Ngubo said in a sworn affidavit. He said his family had been “harassed” by Correctional Services officials and police. “The police went to my place of residence in Pelham, they raided my house and they left at about 10 pm. There were more than 15 fully armed men at my house. “The reason why I did not sleep at home was to avoid possible arrest for reasons unknown to me. “Furthermore I feared for my life,” he said.